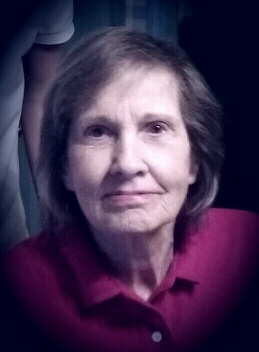 Laverne Margaret “Suzie” deLeusomme, age 81 of Castalian Springs, TN, passed away October 20, 2018. Mrs. deLeusomme was born January 5, 1937 in St. Louis, MO. She is preceded in death by her parents, Norman and Margaret Kroell Hach and husband, Charles H. deLeusomme II. She is survived by sons, Charles H. deLeusomme III (Dawn), John R. deLeusomme and Patrick R. deLeusomme (Melissa); daughter, Gabrielle deLeusomme Ahlgren; brother, Gary Hach; grandchildren, Jason deLeusomme, Andrea Ahlgren Niceley, Baylor deLeusomme, Evan Ahlgren, P. J. deLeusomme, Mitchell deLeusomme, Katherine deLeusomme and William deLeusomme; great grandchildren, Jason deLeusomme, Jr., Easton Niceley and Hudson Niceley. Funeral Mass will be 1:00 p.m. Wednesday, October 24th at St. John Vianney Catholic Church in Gallatin with Father Stephen Gideon as celebrant. Rosary Service will be 10:00 a.m. Wednesday, October 24th, with visitation following from 10:30 a.m. until 12:30 p.m., at Alexander Funeral Home & Cremation Center. Interment will follow in Gallatin Cemetery with family serving as pallbearers. I will miss you my forever friend. You will always be my big sister! The beautiful cards with the news from home you sent to me in boarding school l still have and treasure to this day. The silver ring you gave when you first came to visit with us is so precious as an example of how you embraced us as family from the very beginning! I love you,sister and miss you terribly and take comfort that you and Charles are once more united. Thank you for so very much you shared with us. All my love and gratitude for being such a true sister! Suzie, a woman who all will associate with beauty. Her gift of turning the simplest of items into beauty. Her ability to design, shape and inspire the most beautiful home out of small resources. A woman who few knew was a gifted artist in so many ways. Her poems, her painting, and her gardens all demonstrated a talented woman. She was indeed a Renaissance woman in every way..
Where others greeted a day, she greeted God’s creation. inspired to be a part of the advancement of its beauty. Adventuring to design gardens of surprising labor for such a tiny person. Yet where beauty of nature was served she could make it happen. Exploring the joy of works and thoughts in her own poems. I remember a rock path she created with the help of a loyal dog bringing her just the right rock for spots was the at the heart a beautiful poem she wrote. Beautiful poem of deep feeling and lasting beauty. Blessing and peace be upon those she has left to carry on her legacy for the next generation. Continue her legacy of beauty in the natural surrounding of your homes, gardens and families. See the eternal beauty of art because Suzie was indeed an artist who left a legacy for her beloved ones to share. A beautiful body perishes, but a work of art dies not. Leonardo da Vinci. Suzie will indeed not perishes in our hearts. Suzie – I remember the first time I saw you. You were and still are beautiful. I kidded Charles, my cousin, that he had robbed the cradle. I know you are both together and are watching over your loved ones here on earth.May God bring comfort to your loved ones.